This past weekend I was in the company of giants. Art Horne (The Director of Sports Medicine at Northeastern University) and his team hosted The Postural Restoration Institute's secondary course called Impingement and Instability. How fortunate I was to be the instructor for that class! The group of 35 was eager to listen and more-importantly, share their experiences in the form of thoughtful questions and resulting dialogue. It was that dialogue that ruled the two days. We had such great exchanges that the learning became exponential as a result. I feel as though i need to send a thank you note to each class member for what I learned. Hopefully this reflection that I post will suffice. Thank you Art and all the gang! I look forward to my return to Boston. 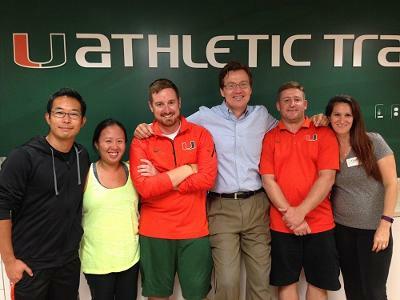 Enjoyed a beautiful weekend in South Florida with Jason Robey, MS, CSCS ATC, PRT and the athletic training staff at The University Miami. Jason’s experience and success with PRI in athletic performance at the university clearly paved the way for this group, making them very open to the material I was presenting. Besides having him as a lab assistant, it was great to have his help answering questions and guiding the discussion for so many new course attendees. Myokinematic Restoration is a great course because of its attention to body position, not only for bones and joints, but especially for the muscles of the pelvic girdle and lower extremities. A positional assessment of proximal and distal muscle attachments on the right vs left sides of the body were related to the common asymmetry of the human body, a pattern called the left AIC pattern. These relationships were discussed and studied using a muscle coloring exercise and time was spent comparing the bias and the restriction in each plane for each muscle based on these positions. All of this was studied in context with stance and swing phase of the gait cycle and related to ambulatory function. Besides position, there were other key concepts that guided our thinking throughout the weekend. We talked about compensatory hip movement patterns and compensatory hip pathologies. We talked about the need for ligamentous muscle to stabilize a hip joint when capsuloligamentous laxity destabilizes it. We talked about acetabular hole control in three planes and what is required of the AF joint during different phases of the gait cycle. We came to appreciate the muscles that oppose the left AIC pattern and muscles that make up for the ligamentous laxity on a pathologically lax hip joint. We talked about the specific planes that are the most necessary for each one of the hip rotator muscles on both the right and left sides of the body. All In all, it was a great weekend putting muscles in their proper context to help us all do a little better job balancing human performance. Myokinematic Restoration in Osaka, Japan! Yesterday, we finished up day 2 of the first PRI course, Myokinematic Restoration held in Japan! The course was was taught by Sayuri Abe-Hiraishi and Kentaro Ishii, and there was a lot of excitement in the room, and the attendees left eager to take future PRI courses! It was a large course with 50 attendees, including Certified Athletic Trainers, PT's, OT's, Certified Strength and Conditioning Coaches, Personal Trainers, Judo Therapists, Jasa AT's, and other healthcare and fitness professionals. 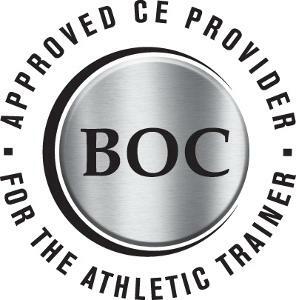 The course awarded CEU's through the BOC for Certified Athletic Trainers, and through NSCA Japan for Certified Strength and Conditioning Specialists and Certified Personal Trainers. Thank you to Sy and Kenny for all of their hard work, passion and pride for PRI over the past year with translation of the manual, and training to teach this course. And, a big thank you to Takuto Kondo and Takashi Onuki for lab asssiting. The dream on taking PRI to Japan is now reality, and we are looking forward to the upcoming course this weekend in Tokyo, and additional courses in the next year! James Anderson was recently featured on SportsRehabExpert.com James discusses FAQs about the courses and gives some more information about the new PRI Integration for Baseball course read about this course HERE and the corresponding Vision course HERE. How to treat rotational athletes to maintain reciprocal movement was also discussed. Click HERE to listen to the interview that will be free for a limited time. 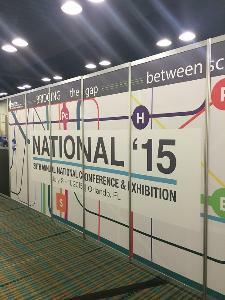 Hannah and I recently went to the 38th National NSCA Conference in Orlando, FL. 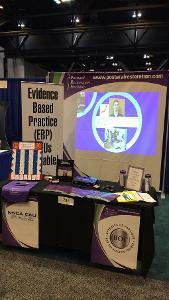 Over 150 attendees stopped by our booth to gather more information about courses or the science behind the Institute. Many of the Strength Coaches and Personal Trainers had heard about us from blogs or social media and were interested in how they could incorporate PRI into the fitness setting. Many were also interested in the new PRI Integration for Fitness and Movement course. PRI Nation is growing! Had a great weekend at Stanford University with our host, Stephen DiLustro and two of his trusted colleagues on Stanford’s Athletic Training Staff, Marcella and Tomoo. The rest of this class was made up of a large cross section of fitness, movement, rehab, chiropractic, strength and conditioning and training professionals. I always love the interplay and learning that occurs when a large number of professionals are represented and have the opportunity to learn from each other. Impingement and Instability has always been a great advanced course because neurological perception of body position is discussed in context with various patterns of human movement. The study of sensation and the human sense organs was a big part of our introductory discussion in this course. We also outlined 3 key restrictions or limitations to normal patterns of human movement that PRI evaluates very closely: 1) unexhaled air maintained in the thorax, 2) hypertonic polyarticular muscle chains and 3) poor neurological perception of our body’s position. If you can’t remove the unexhaled air, inhibit the overactive muscle chain and sense your body’s position in space then your movement patterns are likely to be compensatory. Thank you Colle Hunt, DC for inviting me to spend part of your Saturday evening together with your wife and daughters. I enjoyed the food, but I more enjoyed the company. And congratulations to Stephen on the arrival of your new baby boy between the first and second day of the course. I’ve heard a lot of interesting reasons for people missing the second day of a course, but I have to admit my favorite is “my wife just had her baby this morning”. Congratulations and best wishes to your wife and your brand new baby boy!